FOR SPECIAL INTERNET PRICING CALL 910-327-3070 AND ASK FOR JUSTIN MITCHELL, OR EMAIL US AT garys2145@gmail.com. 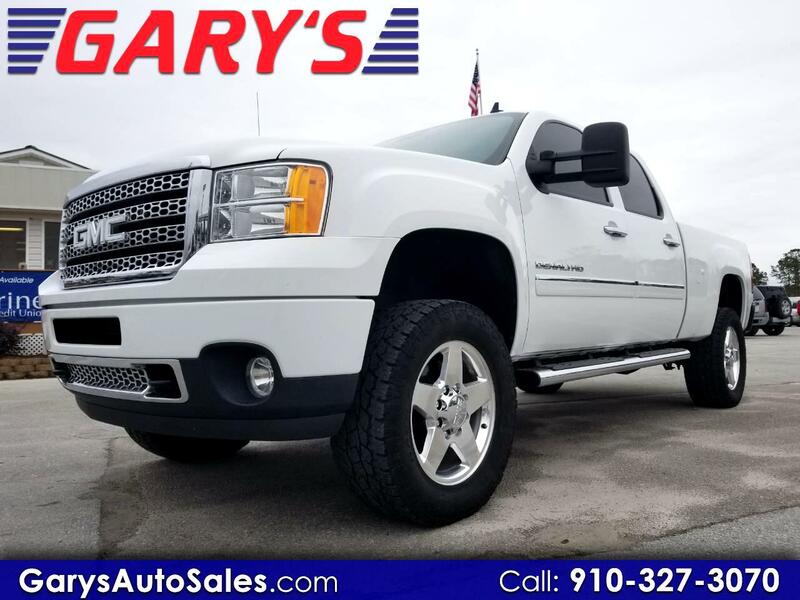 Gary's, a family-owned and operated business for over 35 years, is located in Sneads Ferry, NC and Jacksonville, NC. Gary's has been a member of the BBB for over 20 years!! We do business in an up-front, personal manner, with no hassles. We provide airport pickup service, or we can help you arrange to have your car transported to you anywhere in the U.S!! You'll like the way we do business at Gary's!!! Call Today! Despite our efforts to provide accurate information regarding our vehicles, errors may appear. The information contained on this site may be incorrect and is not guaranteed. We will not be responsible for any errors. All inventory is subject to prior sale, and all vehicle prices are subject to change without notice and do not include taxes, title and fees. Please confirm with us any details that are important to your decision such as vehicle options and price. Message: Thought you might be interested in this 2013 GMC Sierra 2500HD.